Fusarium head blight (FHB), fusarium graminearum, or tombstone as it’s called in the U.S. has become one of the most destructive diseases of small grain cereals and corn in North America. Fusarium head blight first became a problem in Ontario where it produced toxins on grain corn. Just to confuse you, this disease on corn is known as pink rot and the fungus as gibberella zeae. The pink rot of corn causes feed problems in pig farm operations due to the poisonous toxin produced by this fungus. Fusarium graminearum on small grains and gibberella zeae on corn are the same fungus, with different names. This fungus produces a highly toxic poison referred to as DON, which is short for 15-ADON (15-acetyldeoxynivalenol). 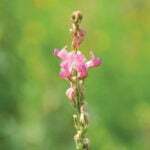 As a rule of thumb, a one per cent small grain or corn infection by this pink fungus produces roughly one part per million (p.p.m.) of toxin. Pigs are intolerant of even one p.p.m. 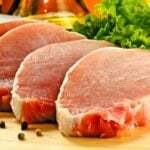 of this toxin; cows and poultry can tolerate up to five p.p.m. For human food, tolerance levels are two p.p.m. in some instances, but in some countries tolerance levels are as low as 0.5 p.p.m. The brewing industry generally has zero tolerance to DON in barley. DON can cause excessive foaming during beer production. 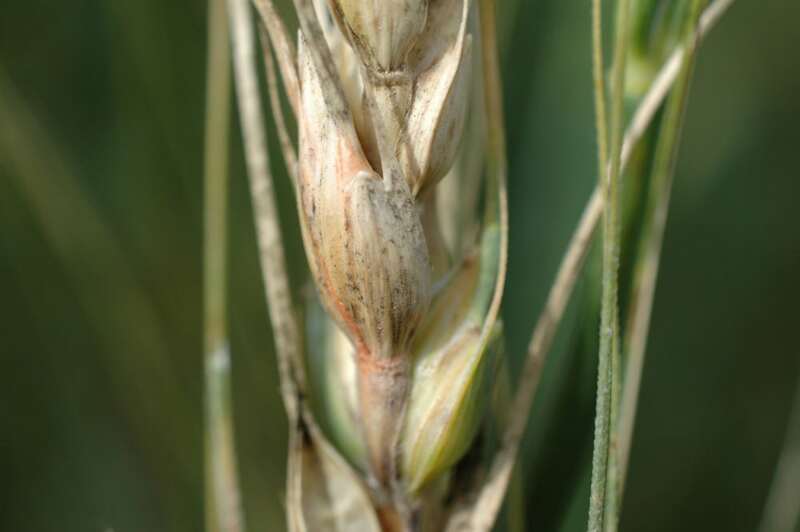 Other factors that confuse growers are the presence of up to six different fusarium species of fungi that can cause head blight in small grain cereals. 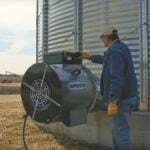 These fungi do damage the actual grain, but do not produce DON toxin. The overwhelming culprit is F. graminearum (G. zeae) which can be distinguished from similar fusaria by the bright orange/pink colouration of this fungus infection on the grain. Other, non-DON forming fusarium infections are white. F. graminearum and G. zeae both overwinter on harvested infected grain and on small grain straw and corn stover. Corn stover, the stalks, leaves and cobs that remain in the field after harvesting corn, can become heavily infected by this fungus. Because of its bulk, the stover can act as a major source of FHB infection for nearby corn and small grain fields. Unfortunately, a new strain of F. graminearum is appearing on the prairies and spreading. The new strain is 3-ADON which is more toxic than the present commonly seen 15-ADON. This fungus showed up in Manitoba in the 80s, on small grain cereals. By the early 90s FHB was showing up in Saskatchewan. 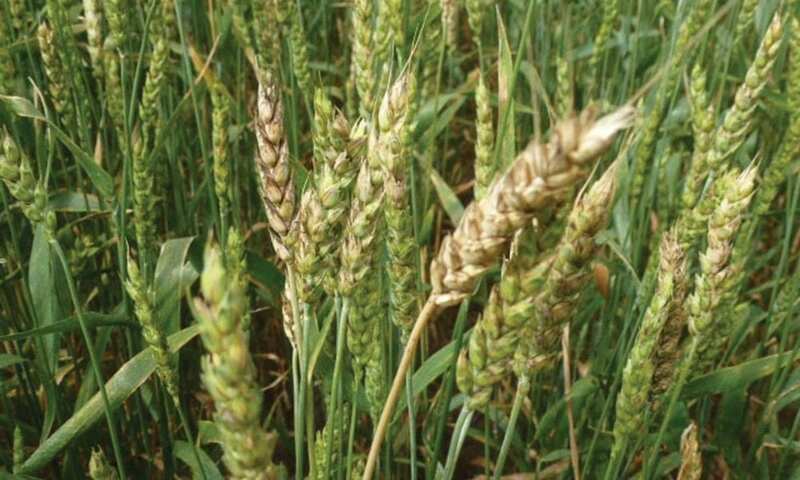 In 1994 a wheat field (Marshall wheat) at Trochu, Alberta, had 10 per cent infection of FHB. 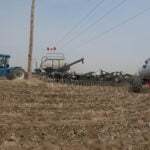 Samples of the original seed, which was brought to Alberta from Manitoba, showed a 10 per cent FHB infection level. Trochu is, surprisingly, one of the dryer cereal-growing areas in Alberta. Subsequent to this infection of F. graminearum, the fungus was declared a pest in Alberta. Over the next few years provincial cereal growers were asked to be very careful when they bought cereal seed and, if possible, get their seed tested for FHB and DON. Within a few years the province mandated that small grain cereal seed for sale be tested for the presence of F. graminearum. There was a zero-tolerance policy for the presence of the FHB fungus. Saskatchewan was invited to join this program. In recent years this zero-tolerance program is in trouble in durum-growing areas. 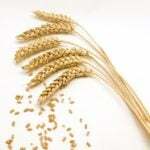 Because there are few durum varieties with FHB resistance, zero tolerance in durum wheat has become impossible. Adjustment will have to be made to zero-tolerance program. Even today in the central and northern areas of the western Prairies there is very little FHB of any consequence. 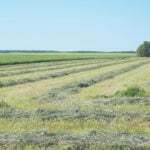 Generally, levels of one per cent or less or just trace levels may be present as opposed to the frequent and destructive levels of FHB on the eastern Prairies. Dr. Ieuan Evans is a forensic plant pathologist based in Edmonton, Alta. He can be reached at: [email protected].